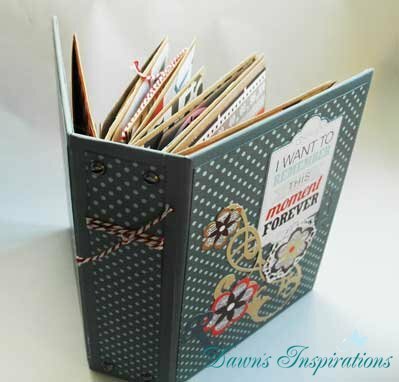 Would you like to take your mini scrapbooks to a different level but don't really know how? With this online workshop I will show you exactly how using new and different styles of page construction. This workshop is broken down into 6 different videos walking you through each stage of the construction process and decoration. Video 1 is a basic introduction helping you prepare yourself ready to start and will provide you with information on the supplies you will need to create your own scrapbook album. Videos 2, 3 and 4 take you through each different page construction with all their own individual interactive elements along with the decoration of each page. Video 5 is construction the cover house your individual scrapbook pages using the chipboard method of covering which is the first time I have introduced this in one of my tutorials. Video 6 is assembling your mini album and I show you how to attach each individual page to the hinge and cover. I will also take you through how to decorate and add those finishing touches for that professional look and feel. Hey Dawn, this is fantastic. I must tell you that I’ve been watching your videos all day–it’s now 12 midnight. I’m returning to paper crafting after a long time. 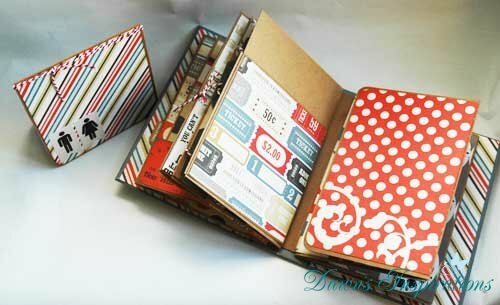 I’ve never made a book, although I worked on altered books some years ago. I had been looking at a number of videos on youtube and I think you’re by far the best teacher among all of them, which is why I pursued your work. Thanks for the clear, loving and caring way you present these videos. If you’re coming to the States to teach, please let me know!!! My first online tutorial and was I amazed with my finished product. OMG, this was my first on line video class; and it was MARVELOUS to say the least. Everything about this class was great. Thank you for this Brilliant workshop it is the first one I have ever bought. I loved the way you go through each page with us very good instruction and very easy to follow, all the advise you give is totally well received. I loved making mine and will be making loads more. I am new to making albums and it was my first one. My next one will be for my Daughters wedding and was wondering if you could suggest a good paper collection to use. Loved your videos! On my IPad the sound was too low, however I used my earplugs, worked great! Hope to see more tutorials and videos. You are a great teacher, liked the the way I could go to each section, and not have to hunt for what i wanted. Hi Dawn. Ok, that’s it, no more googling!!!! I am a newbie and there is no better place for me to start but with you. Your online workshops are just wonderful. I have purchased 3 and can’t wait to start. Your albums are just wonderful, I am totally enthralled by them all. Thank you do much for sharing them. I opened my emails today and got your lovely message you are so kind. Being a crafty myself I try to put things across as easily as possible as yes I do have lots of Newbie and Non crafters that follow me. It is a joy to here I am inspiring you to have a go and that you enjoy my style of teaching. May I wish you and your family a Very Merry Christmas and here to more crafting in 2015! 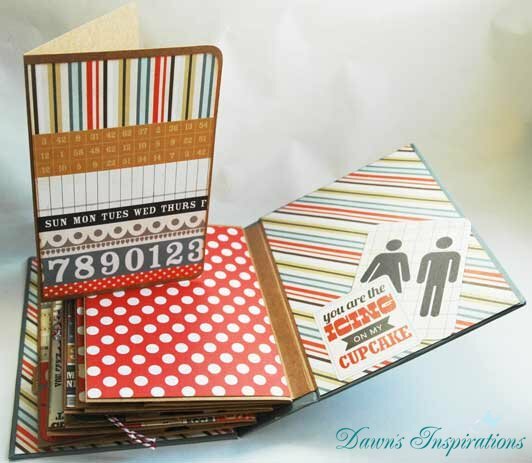 Dawn, I just love this mini album & thankyou for a fantastic workshop tutorial. So easy to follow. Who would think some blank envelopes and cards could be made into something so beautiful. I am addicted and have already purchased a 2nd workshop with many more to follow. To anyone newbies reading this wondering what the workshops are like, I say just do it. You will not regret it. Truly a great crafting experience. Thank you Leanne for taking the time to comment. It is great to see your have enjoyed the Online Workshop and would recommend to any new crafters too!